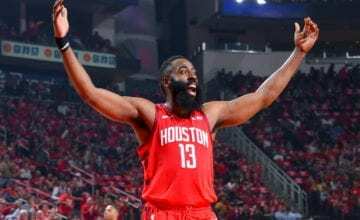 There was a discernible sense of tension linking New Orleans and Los Angeles when the Rams got away with highway robbery in the NFC Championship Game, and more friction arised between the two cities when the Lakers attempted to prize Anthony Davis away from the Pelicans. 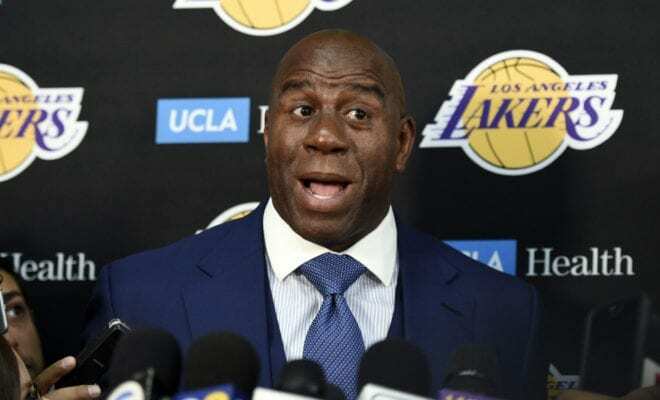 New Orleans didn’t take kindly to a hotshot big market team attempting to swoop on their franchise player, while LA didn’t appreciate the Pelicans driving a hard bargain without even coming close to pulling the trigger, as Lakers president Magic Johnson confirmed on Sunday. When asked whether New Orleans acted in good faith during the negotiations, Johnson bluntly replied, “No”, per ESPN’s Dave McMenamin. But he stopped short of saying the public nature of the negotiations would have a lasting negative effect on his young players, many of whom saw their names appear in trade reports on a daily basis. “Quit making this about thinking these guys are babies because that’s what you’re treating them like,” Johnson said. Johnson added that trade negotiations becoming public was simply part of today’s NBA. “All deals are. … A lot of them are made in public,” he said. It was widely suggested the leaked trade talks were taking a toll on the Lakers when they suffered a horrific 42-point loss to the Pacers on Tuesday. But they bounced back with an encouraging 129-128 win in Boston 48 hours later, thanks to a ballsy game-winner from former Celtic Rajon Rondo. But the true litmus test for the Lakers lies not within a singular game, but their remaining 26, with the team still sitting two and a half games out of the eighth seed in a ferociously competitive Western Conference.